When Jobim was fifteen years old, he left his small Brazilian town on the banks of the Formoso River, in the Araguaia-Tocantins basin, in search of his father, Chief Taboré the leader of the extinct Tapajós Nation. Ruth, his mother, a descendant of Germans had come from the south of the country, where she met and had a love relationship with Taboré a brief and passionate encounter between two different worlds. The book broaches the rich Amazonian biodiversity, its history and geography, and other themes related to the occupation of the territory: biopiracy, gold mining, deforestation, agriculture and cattle ranching. 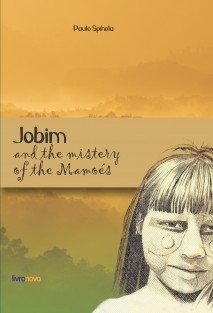 His journey takes Jobim to faraway places where he experiences moments of danger and adventure as he comes into contact with Indians, and learns tales and legends from the Amazon. The boy travels to several places in the North region, up to the Neblina Peak, in the Guiana Plateau - Mamoé territory (mystic people from the Peruvian Andes from the time of the Incas, with great magical powers).